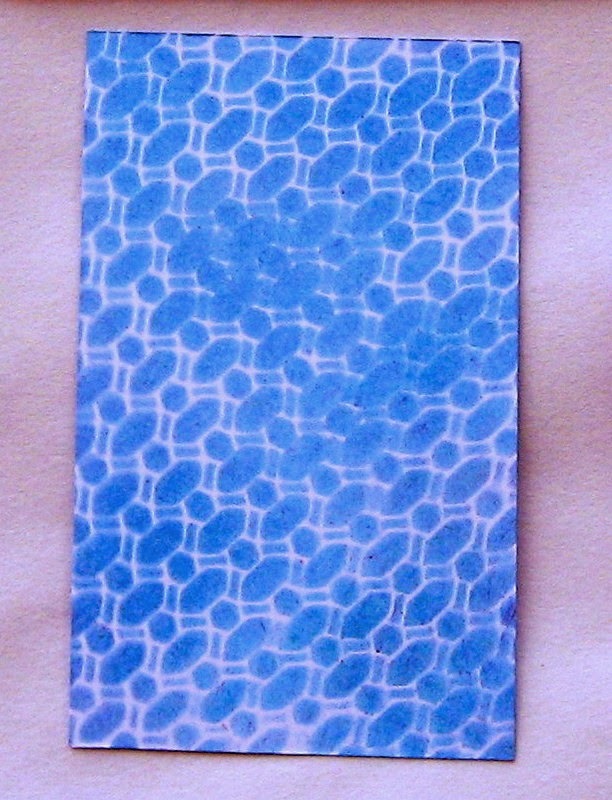 The base of my card I have created with Memory Box Rhaposdy Stencil and Sakura Modelling Paste and I have added Distress ink- Salty Ocean to the paste to give that slight tinge of blue to it. The large flower is handmade for which I have shared the tutorial below. 1. Cardstock -I prefer working with water-color paper/ Paper more than 200gsm thickness. 2. Joy! 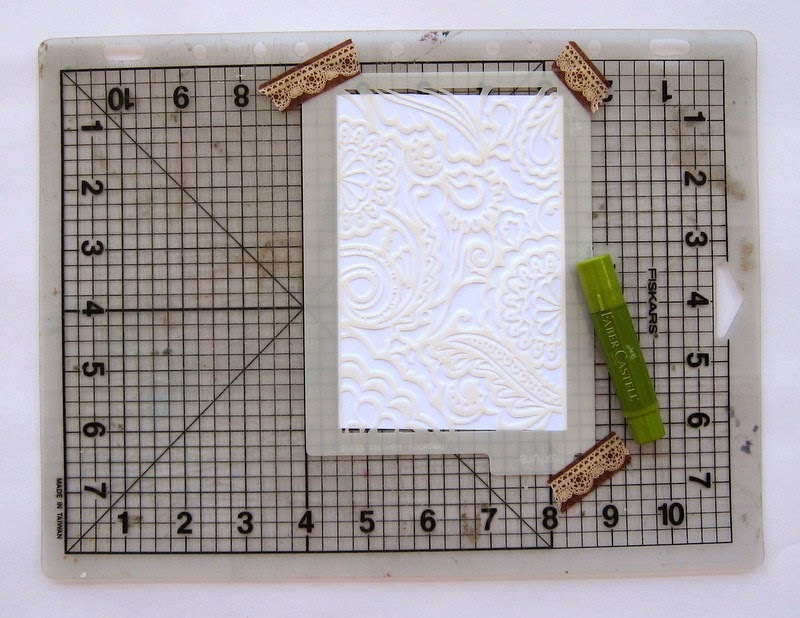 Crafts Floral Flourishes Die/ Flower dies or Three different size flower punches. 3. 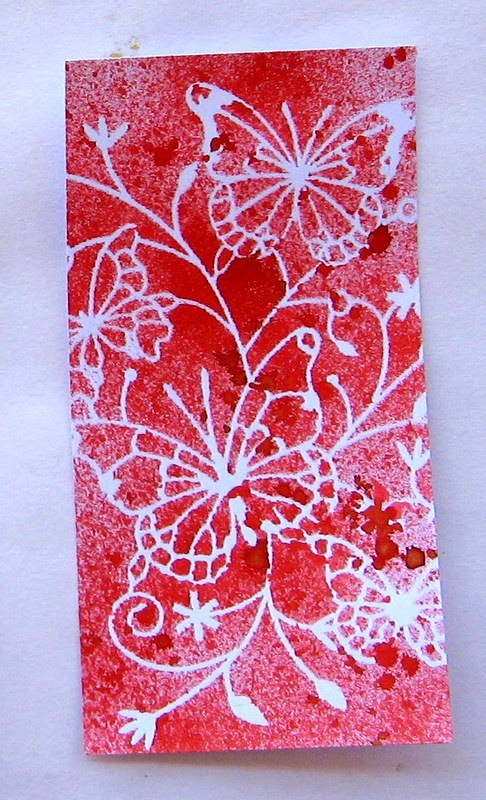 Distress inks -Tattered Rose/ Spun Sugar. 5. Glossy Accents/ Glue of your choice. 7. A embossing tool and Forceps. 8. Water Spritzer/Mini Mister and a very broad handle paint brush. 1. Die cut your flowers or punch them out depending on what you are using. You will need TWO large size flowers, THREE medium and THREE small ones. 2. With your scissors, cut a small slit in between the flowers as shown in the picture. Do this for ALL the flowers. Then, using your Ink Blending tool and Blending Foam distress/colour your flowers using Distress ink of your choice. I have used Spun Sugar and Tattered Rose. 3. The, spritz the flower's with water using your mister and when the flower die-cuts are fully wet, place them on the broad end your paint brush as shown and using your forefinger and thumb, slightly crease the petals. 4. Let the flower die-cuts dry completely after creasing them. 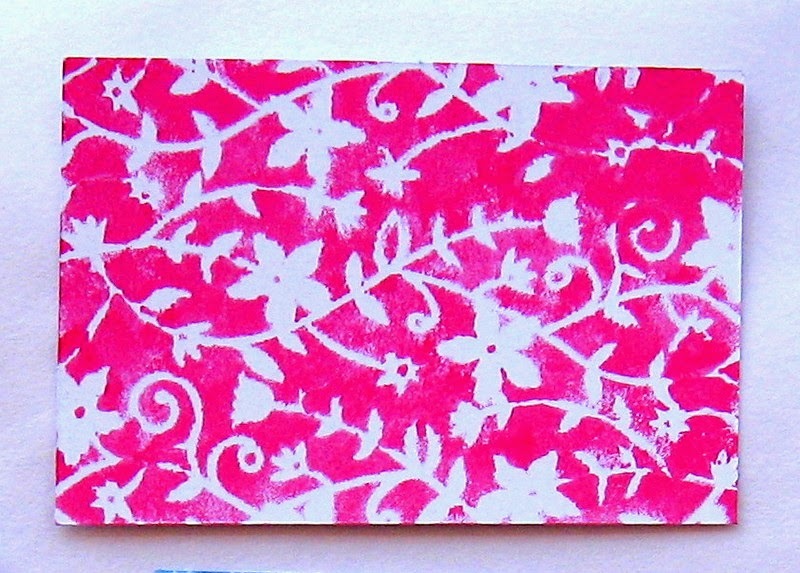 Then, using your embossing stylus emboss the petals and the middle of the flower creating a cup-like shape. These flower die-cuts will now hold the shape that you have molded them into as they have been water creased. 5. Now, using your tweezers, bend the two sides of the petal of the flowers into small curves. Do this for all of them. Then, we will start layering the flowers by gluing them one on top of the other. 6. First, layer the large flowers followed by the three medium sized die-cuts and using your embossing tool press down the centre of the flower a shown in the picture. 7. To create the centre bud of the flower, take one of the smaller sized flower die-cut and pull in two petals from the opposite side of the flower die-cut and mold it into a bud as shown. Apply a little glue on the two sides of the bud for it to hold the shape. Then, apply glue on the rest of the three petals and enclose the bud within it. 8. Place this bud on to to a another small flower that we had embossed and squeeze it. Then, place a third layer of flower and you will end up with a tiny flower which looks like the one in the below picture. Joy! Crafts Floral Flourishes- Flower 3, 2.125"
Memory Box Fresh Foliage Die. I hope you all like my card and tutorial. If you have any queries regarding any of the products used, then please leave me a comment below and I will try to answer your queries as soon as possible. Today, I've created something special to inspire you more. 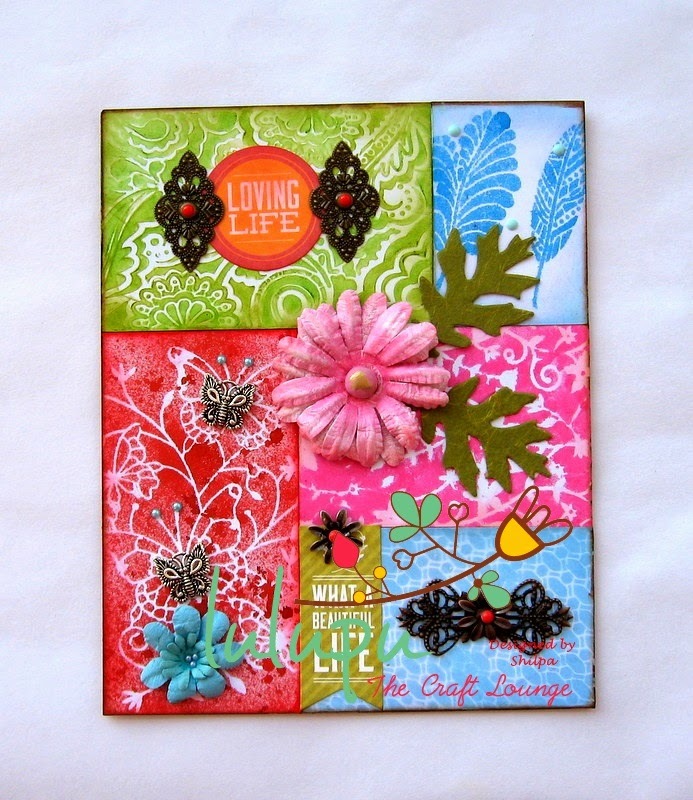 It is a paper patchwork with stencilling. Lulupu store has got new Memory Box stencils, and I couldn't wait to use them. Confused? this is a part of Wall Art Piece, scroll down to view full image. Before that, let's see the process and few techniques..
To start, I kept the stencil on piece of white paper (card stock). And attached the edges of stencil to my craft mat with washi tape, so it doesn't move while colouring and gives crisp image. 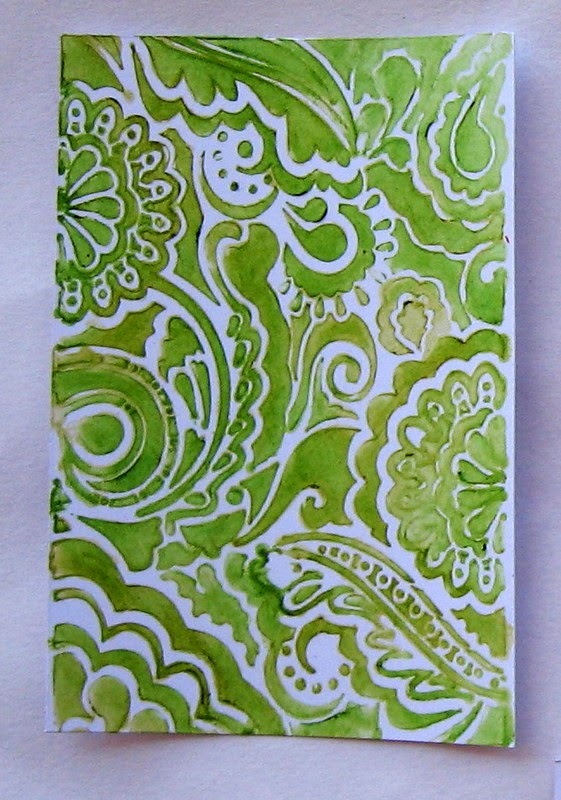 I created this piece with Texture Rhapsody stencil and Gelatos colours-Pistachios,Green Tea. 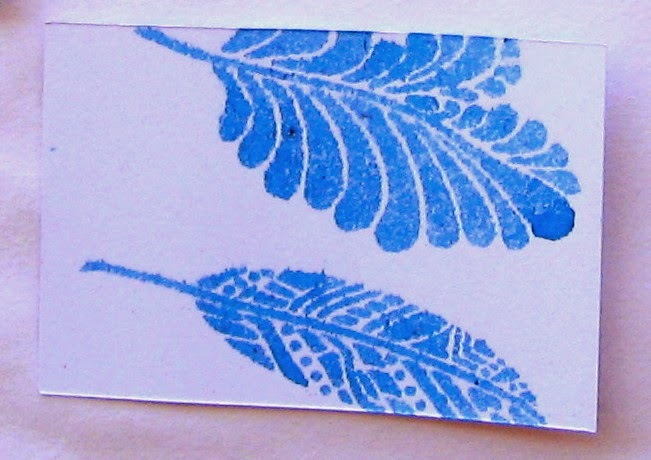 For this technique, place the stencil on paper, fix it with washi tape/masking tape, apply Gelatos, and spread the colour through stencil with baby wipe. You can do shading with same colour or use different colours. These two pieces are done with Crafters workshop Fancy Feathers stencil + LSG Bachelor Button Blue and Memory box Butterfly Vine stencil + LSG Poinsettia Red Gold respectively. While using any spray with stencil, keep spray at one foot distance, be confident, and spray from one end to another. Ink will spread evenly and it won't puddle. 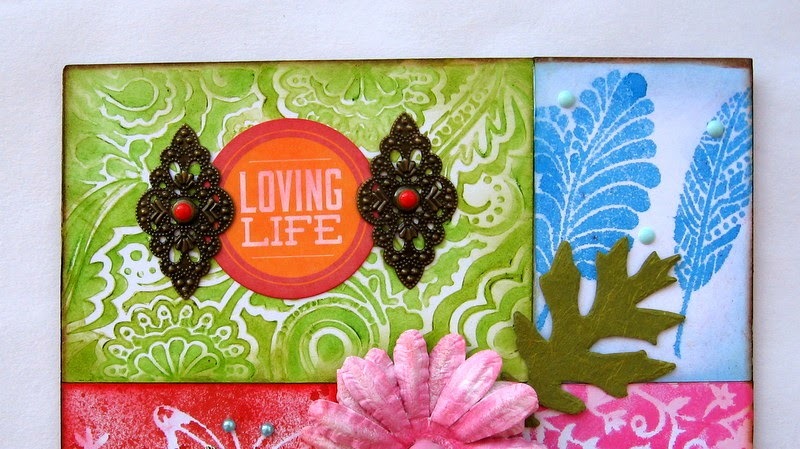 Here, I've used Memory box Texture Cressida stencil and Salty ocean distress ink. I applied the ink with ink blending tool, very easy technique for quick backgrounds. Lovely design, isn't it? Stencil name is Floral Mask. I applied Picked Rasspberry distress paint with sponge here. Trick for this technique is, take little paint on sponge and pounce back on the mat 2-3 times and then apply. You can use any acrylic or water colour paints. How is it?do you like it? You may ask, how did I get this effect, let me explain in short. To give the finishing touches, I used distress inks at the edges and brought bit inside the page too, remember how Tim Holtz does this? And when I adhered all pieces together, I applied Vintage photo distress ink to all four sides, it gives the depth. 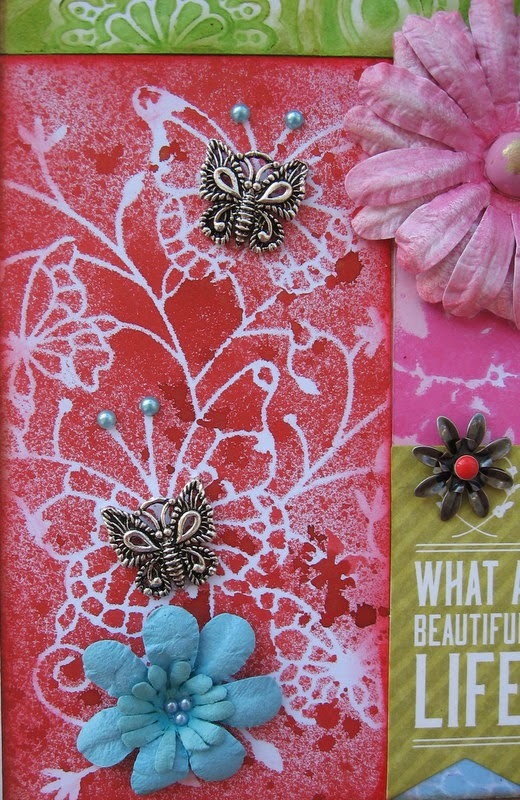 Embellishments - Die cut collectables are from Spring Bloom (Kaisercraft), metal trinkets, Prima sugar dots (red and sky blue), Tim holtz Tattered leaf die cuts, flowers. Challenge ends on March 31st.